Just to set the record straight, leggings are leggings, even if they do have a spiffy pattern on them. When I wear these, I'm not trying to say that I'm trying to be a super trendsetter or anything like that. Well okay, that's not my initial attempt. Just like any one else that wears plain black leggings, my choice is usually fuelled by comfort, gluttony, and slothery. -They're comfy and I'm lazy. -I don't own plain leggings, so these will have to do. -I haven't given up on life enough to wear sweat pants in public yet. -I'm having a huge feast today and need all the expansion space I can get. I love how you rocked them for day! I feel like you can get away with breaking my cardinal rule of "leggings are not pants" if they have a print as fun as this! where did you get those gorgeous leggings??!!! Lol your "What these bottoms really say" make me laught so much! Despite it I love your leggings! Those leggings are great actually, reason #3 is so funny. Following on Bloglovin and FB. Very beautiful legging ! Love it. Your tights is definitely a cool item to have. You definitely look great in it. Very nice leggings. Have a great weekend. Sweet outfit. I love the whole 'I haven't given up on life enough to wear sweatpants out' - I second that! Hi Gorgeous! Thank you for the lovely comment you left on my blog! Just letting you know I am now following you via Bloglovin, Facebook and Twitter and I would love it if you returned the favour! Check out my latest posting on my favourite black staple pieces for Autumn/Winter 13. Keep in touch love! looking awesome, Sabrina. I love everything about that outfit but especially that super classy blazer and your golden necklace. oh and sometimes I also wear leggings as pants but only if those leggings have pockets, buttons etc. or I have covered them with a tunic or something else that's long enough. LOVE IT! :) nice blog you have <3 following each other? Great leggings - love the pattern! 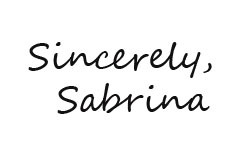 Heyyyy, a fellow Sabrina fashion blogger! :) Love this look, especially how you dressed down the comparatively crazy print of the leggings with more classic pieces, such as that beautiful coat and ankle boots (love the fringe detail on those). Fantastic! Those leggins are just amazing!